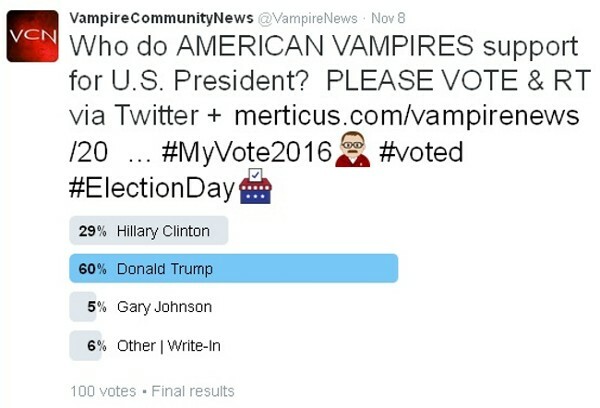 If you’re a United States vampire and have already voted or plan to vote in the November 8, 2016 Presidential Election which candidate will receive your support? Please make a selection below of the ticket you already have or plan to vote for in the 2016 U.S. Presidential Election. 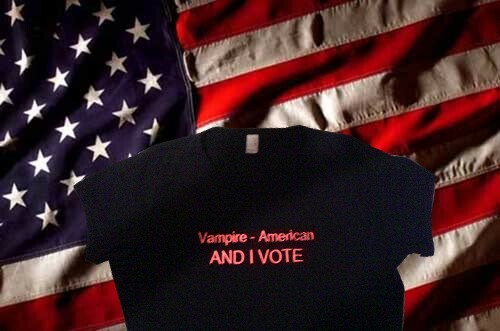 If you’re a United States vampire and voted in the November 6, 2012 Presidential Election which candidate received your support? Please make a selection below of the ticket you voted for in the 2012 U.S. Presidential Election.